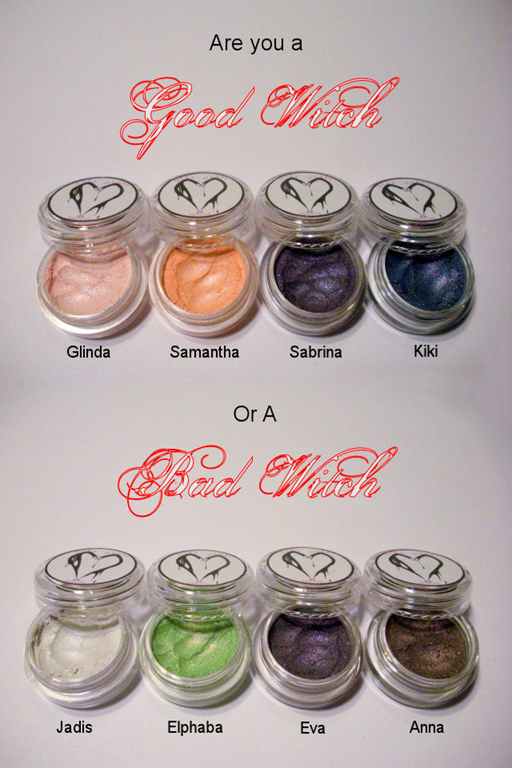 Win a sample set of the new good witch/bad witch Halloween collection! Contest will start 10/10/11 and run through 10/16/11. Winners will be announced on the following Monday. The winner will receive one sample set of our new good witch/bad witch Halloween duochrome sparkle collection, which includes four good witch inspired colors, and four bad witch inspired colors. This contest is open to all participants. Do not create another account to enter. Do not retweet the contest tweet more than once. We reserve the right to disqualify any entry. This contest is not endorsed, or associated with twitter.